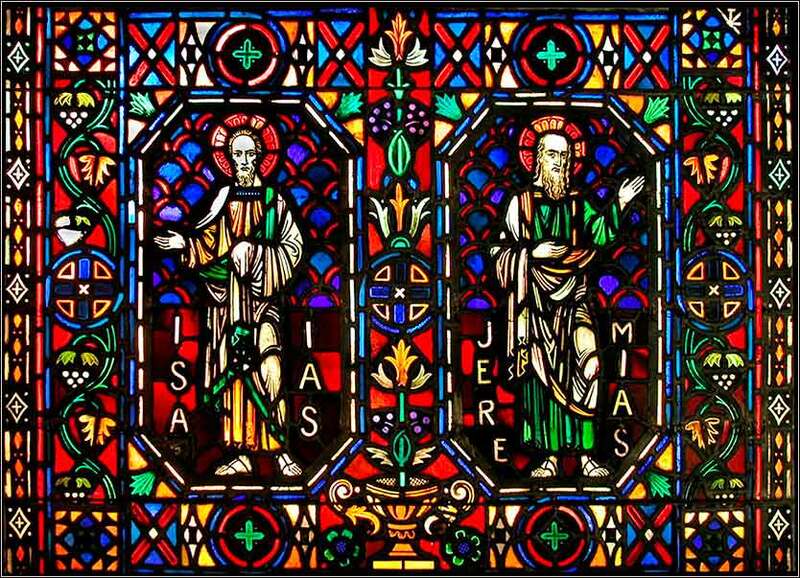 Stained glass window in Poitiers Cathedral, France, depicting the prophets Isaiah and Jeremiah. This is not a church, but Royal Albert Hall. The Festival of Massed Choirs is primarily a Welsh festival but there are numerous choirs from elsewhere. O Giver of all gifts, I beg You to visit me with Your grace and Your love and to grant me the gift of holy fear, so that it may act on me as a check to prevent me from falling back into my past sins, for which I beg pardon. The experts about God in 30 A.D. were the Jews, who had been carrying the torch of monotheism — with the sanction of God Himself — for thousands of years. But they became so ingrained in their thinking and so convinced of their inherent righteousness that they became deaf and blind to anything they had not heard before. Many of them couldn't grasp either the significance of Christ, or the words he spoke. Here, Paul first addresses the idea that the Jews have some sort of excuse for not understanding Christ. The proof against them lies in the very Bible they revere, the prophets and poets of the Old Testament. Neither they nor anybody else has the excuse of ignorance for denying Christ; they are driven to perfidy not by ignorance, but by disobedience and pride. Just as Isaiah prophesied: “All day long I have held out my hands to a disobedient and contrary people” (Isaiah 65:2). Instead of the experts, it is the fools who are being saved by Christ: most of them are Gentiles, those who do not pretend to know anything about God and are eager to learn. Paul's lesson here is another variation of the “come unto me as little children” theme. We must always be open-minded and eager to learn, for no matter who we are, God has many things to tell us that we do not know. 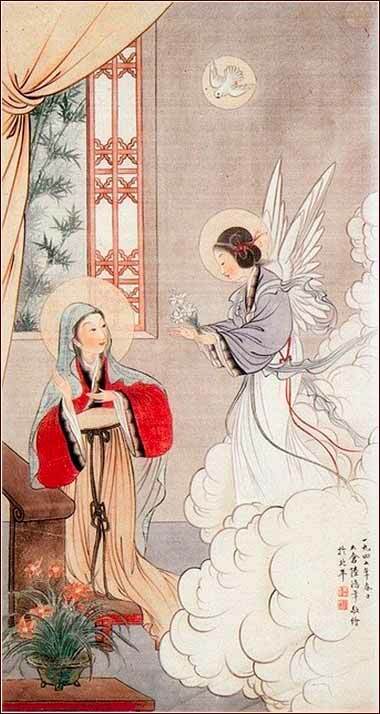 The Annunciation to Mary by John Lu Hung Nien (Lu Hongnian), ca. 1948. Chinese watercolor on silk. The artist was born in Beijing in 1914 and was a convert of the Divine Word Missionaries. This is one of his last works, before Mao took power.